Home / Games / Score! Match: Match! score! and win! This summer, the 2018 World Cup will be officially launched. The fans of the sport will be reunited with the biggest football parties on the planet. Besides, the most attractive football tournaments are going on fiercely. In the process of waiting for exciting matches every week, playing a football game is a great idea. Experience the exciting football game of the publisher First Touch Games with a game called Score! Match. Publisher name is also one of the techniques that any player owns. Believe me; you will enjoy the most passionate atmosphere in this game. Football is always a favourite sport in any country. And Score! Match is no exception. 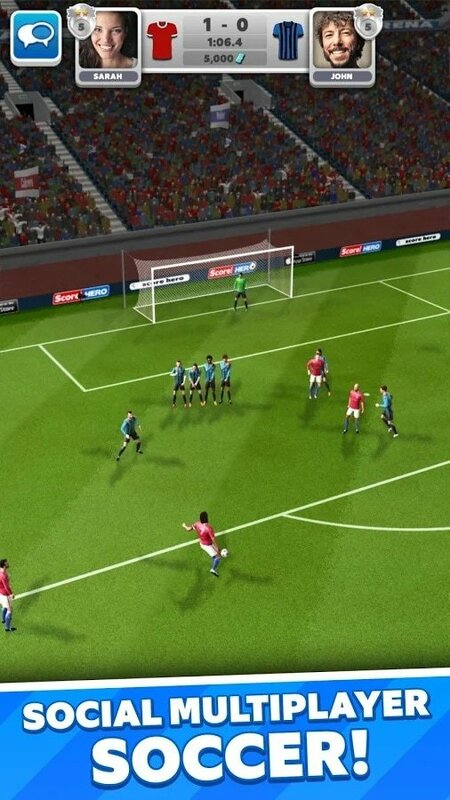 This game has a completely different mechanism in gameplay compared to other popular football games like Dream League Soccer orFootball Manager Mobile. In the game, whenever the ball reaches the foot of your team, the game will slow you down to let you choose the next action. Pass for teammates or continue to go ball. However, if you hesitate for too long in your decisions, the opponent will automatically ice up and take the ball in your foot. Each attack is beautiful or not depending on the creativity in each ball. You can make a lot of improvisation. A kickback, goals. A terrible save the goal. Or simply a Penalty situation. With Score! Match, you can do everything. At the start of the game, you will be given a lineup of all anonymous players. If you’re lucky, you’ll get some players you know, but that’s a very low percentage. But do not worry, you can buy the players you love, the top stars in the world. The player’s price is the same as the player’s value in real life. After each game, you will earn some money. Especially when you win the league will bring a lot of money. Use that money to buy the players you want. Besides, the game will always update the index as well as new players every day, giving you the perfect experience. Do you want players like Paul Pogba, Ibrahimovic, Alexis Sanchez, Ronaldo, Messi, Neymar, Bakayoko, … on your team? Every player in Score! Match owns a different set of indicators. 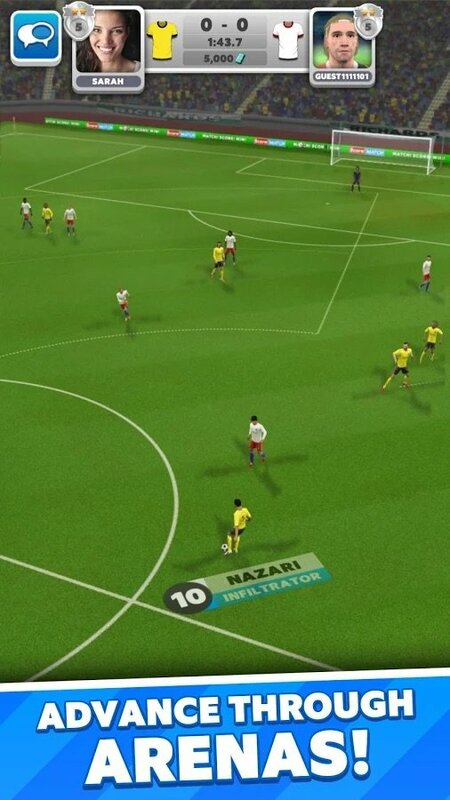 This makes a difference in tactics when you assign different players in different teams. Sure, when using Messi you can not use the same as Peter Cround. Create your own tactics. However, depending on the opponent to give the most reasonable tactics. You are ready to become a great coach in Score! Match? Score! Match has two main modes: play with AI or play with online players. The difficulty of AI will depend on your level in this game. I have met the cool AI like Barcelona or Arsenal. Combining online features, you have the opportunity to interact with other players around the world. Compete and win, especially the championship to advance to the glory. Show off your love on each ball. As you see, the graphics of Score! Match does not seem to be on top of the market but still has its own unique features. The player’s actions, as well as the actions of the player, are simulated smoothly, in real high-quality 3D graphics. Small details such as a shirt, socks or shoes are also very clear and delicate. With a three-dimensional camera, you can see the dramatic situations from different angles, giving you the most authentic experience. If it’s not so much about graphics or game branding, Score! Match will be an interesting new choice. Spend time playing fast, simple and fun games by downloading Score! Match APK on the device. Score! 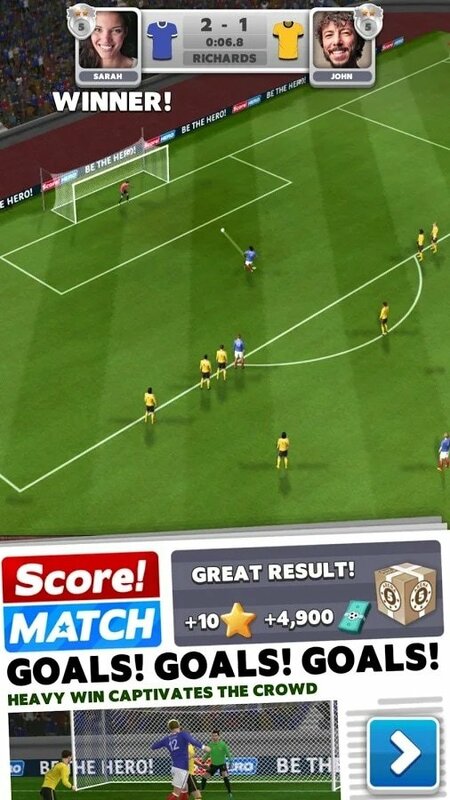 Match APK is ready to download! Depending on your needs, you can download Score! 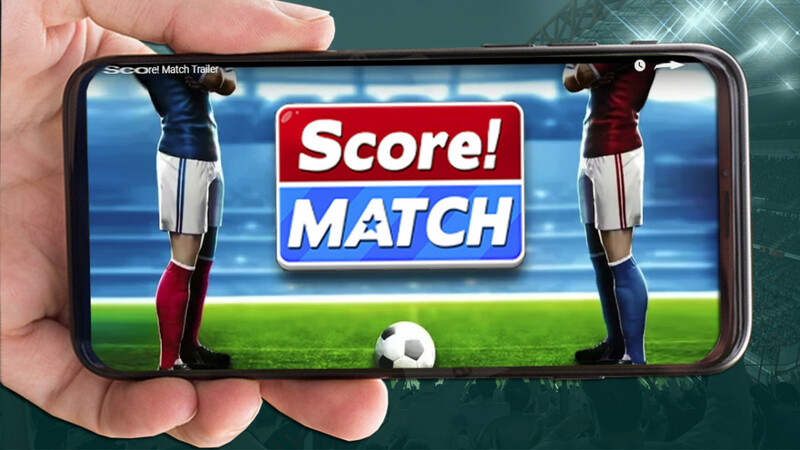 Match MOD APK or Score! Match Original APK. Or install from Google Play / App Store if you want.